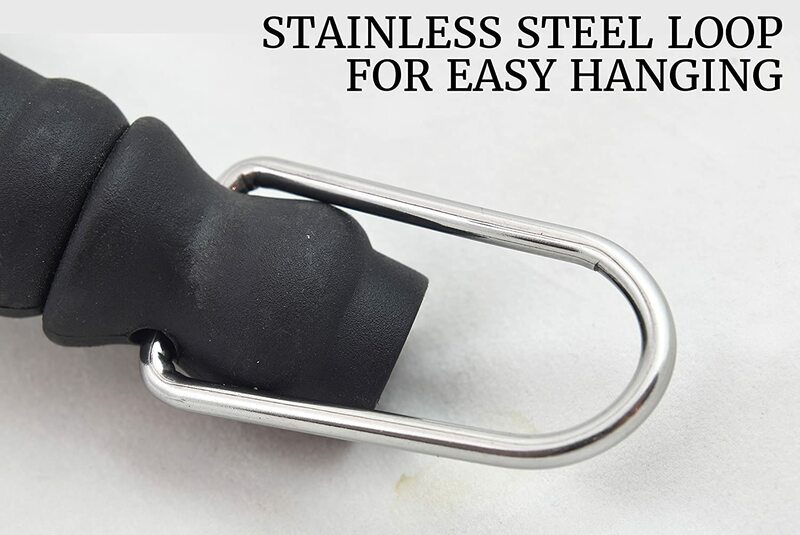 GUARANTEED RUST-PROOF 100% STAINLESS STEEL! 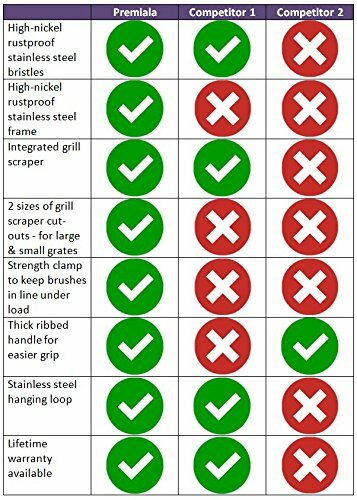 We tested many grades of stainless steel in rain, snow, submersion, dishwasher and even salt and chose the best of the best! High nickel 304 (18/10) grade stainless steel for the structure of the brush, and tough 201-grade stainless steel for the bristles for maximum lifespan! 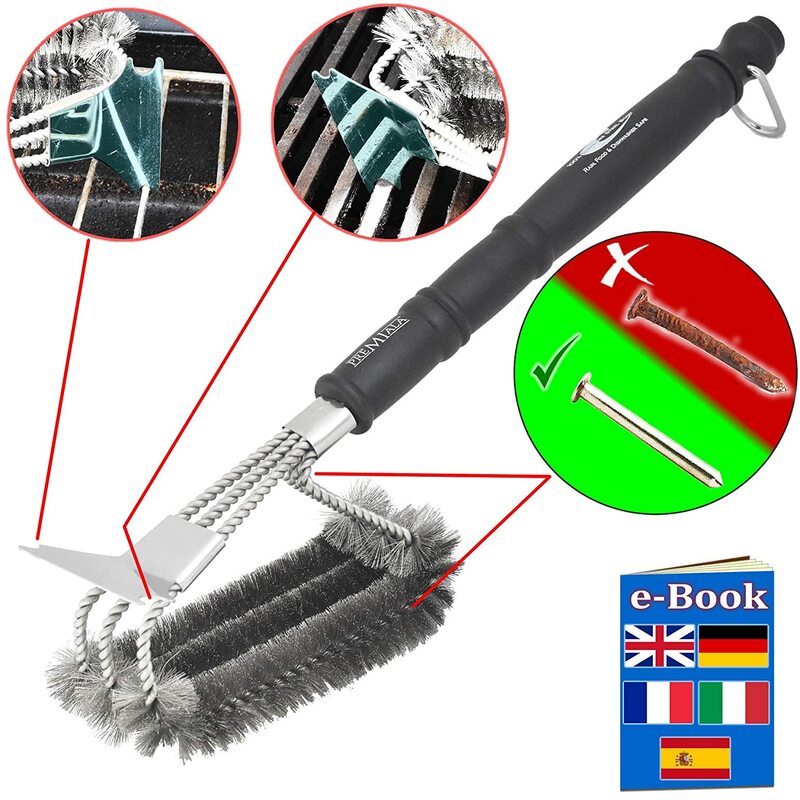 Your Premiala Grill Brush will NEVER rust! CRACKPROOF LONG HANDLE! The 18” long handle is the optimum length to let you stay away from the heat without losing control of the brush! 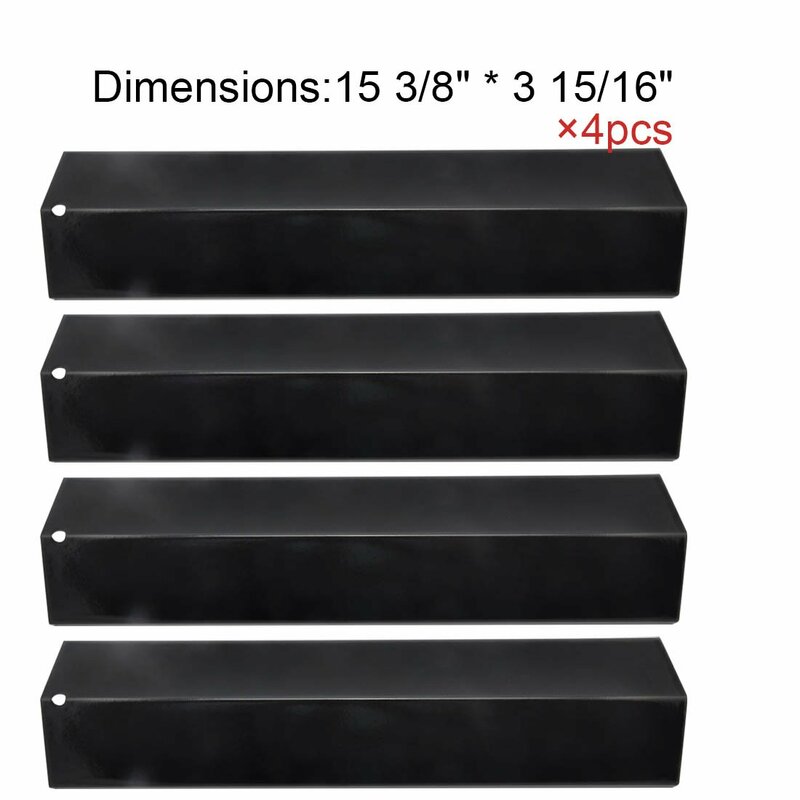 And because it’s premium injection-molded plastic, not wood, you can guarantee it’ll go the distance! 360 DEGREE EASIEST CLEANING! 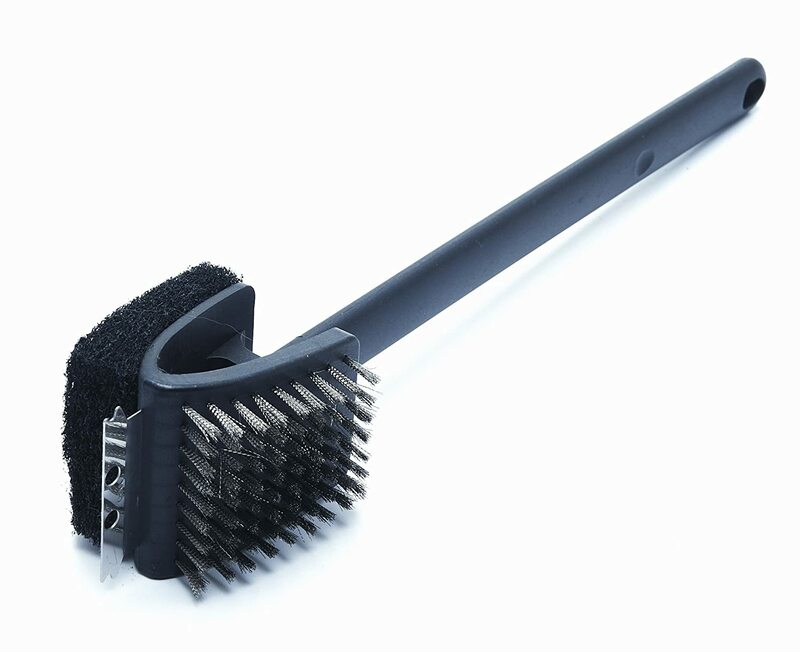 Our bristles wrap all around the brush, up the front and back and along the top to ensure you have tough bristles for cleaning all horizontal and vertical surfaces, even the underside of elevated grates! 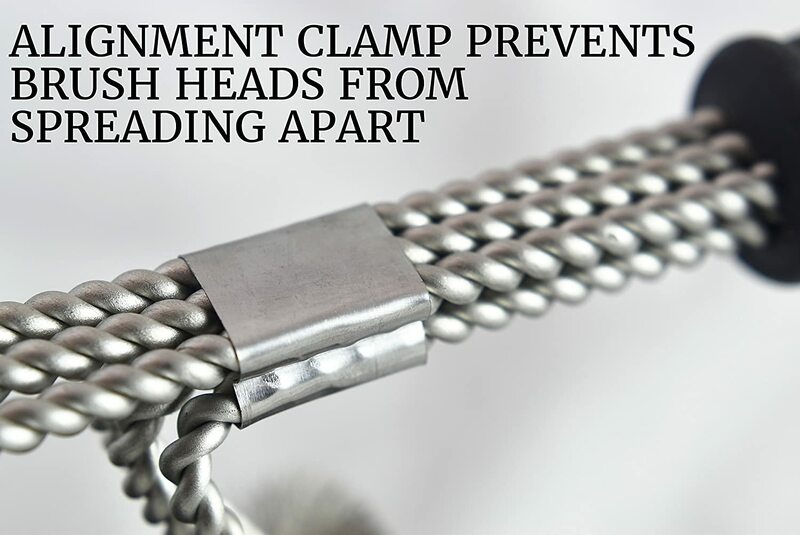 Plus, the strength clamp ensures the three efficient cleaning heads stay aligned for maximum performance. FREE GRILL CARE E-BOOK! 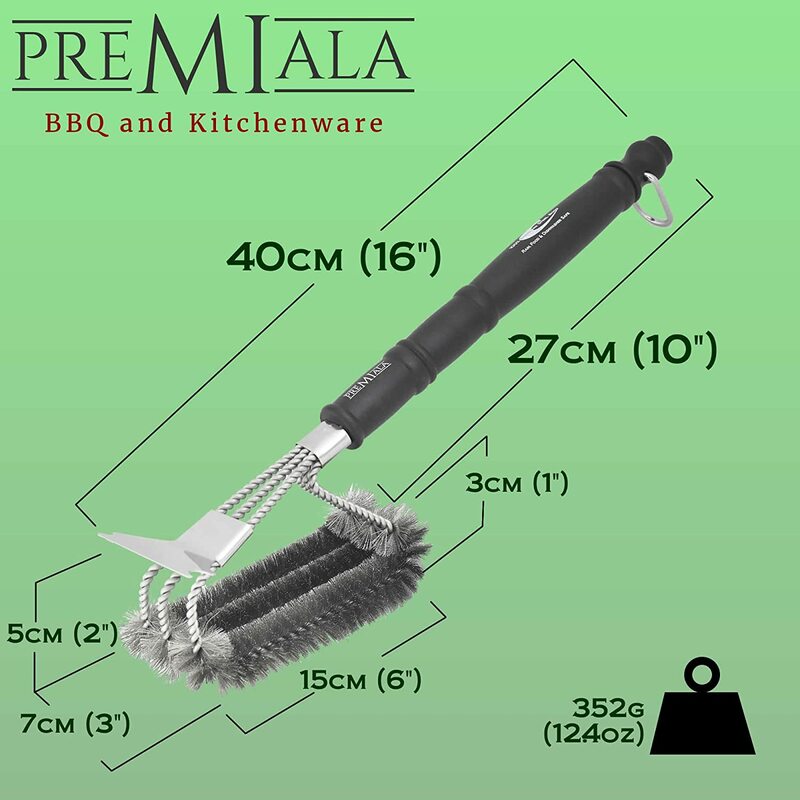 If you love your grill you’ll love “Grill Safety and Care”, provided as a gift to all buyers of the Premiala Grill Brush. 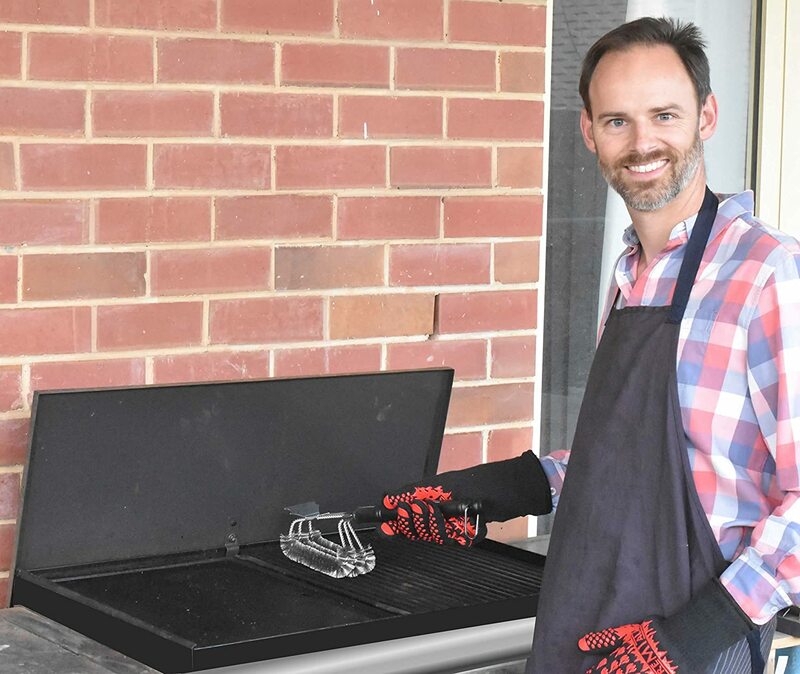 Written in conjunction with acclaimed US grilling guru and media personality Kent Whittaker, this guide will teach you how to use, clean and care for your grill or smoker to ensure optimal taste, best performance and maximum lifespan! LIFETIME WARRANTY! We know this brush is the best so we’re happy to back it with a lifetime money-back guarantee. If you ever find it lets you down or starts to rust, we’ll replace it. There’s simply no reason not to invest in the best! DOES A BBQ KING USE RUSTY TOOLS? You already know a clean grill gives you food that’s free of unpleasant flavours, bacteria and carcinogens from previous grill sessions. But you’re the boss – so why put up with a cheap brush that takes forever to do the job or goes rusty after the first use?? 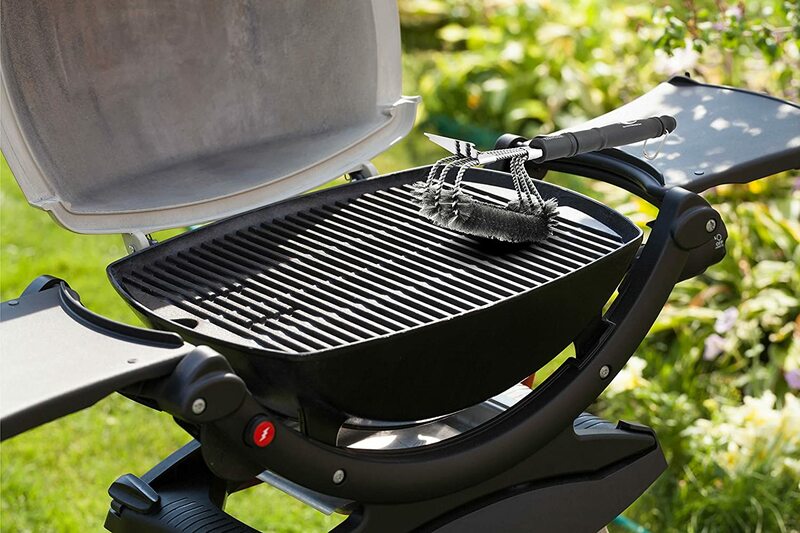 Premiala’s Stainless Grill Brush is the only grill brush using premium 304-grade stainless steel. Most competitors use cheap and nasty galvanised steel which rusts the first time it gets wet! Not with Premiala’s beauty – it’ll take rain, hail, shine, sun, salt, sleet, dishwasher, and stay looking great for years! 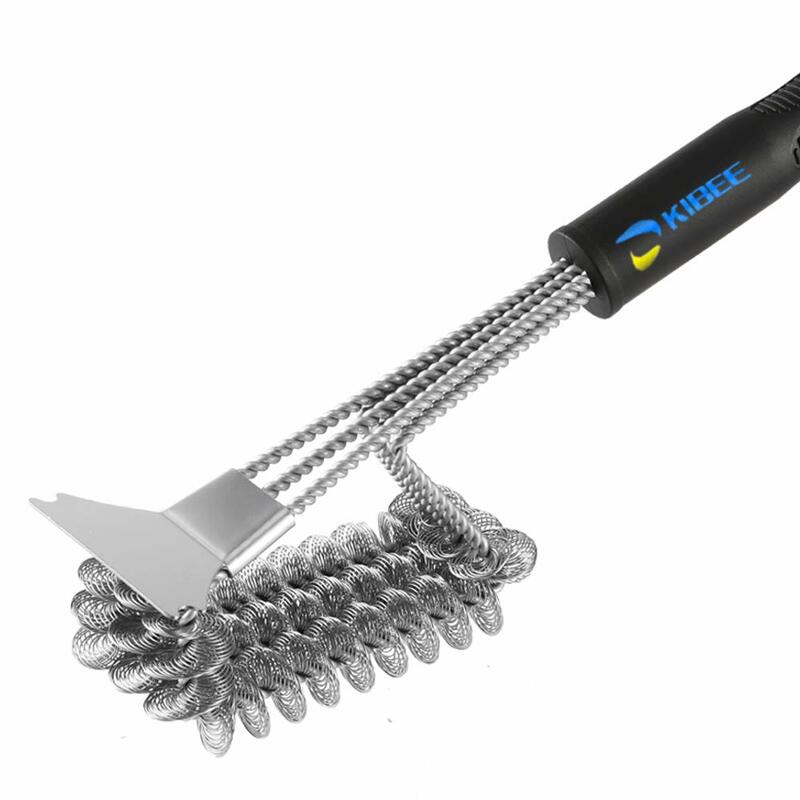 Its stainless steel bristles wrap all the way around the three cleaning heads, make it a cinch to scrape away old food from anywhere with minimum effort; and the strength clamp ensures all three heads stay on track, giving you a clean grill every time! - Great looks and maximum lifespan from a brush that NEVER rusts! - Prevent nasty flavors and harmful bacteria with a sparkling grill! 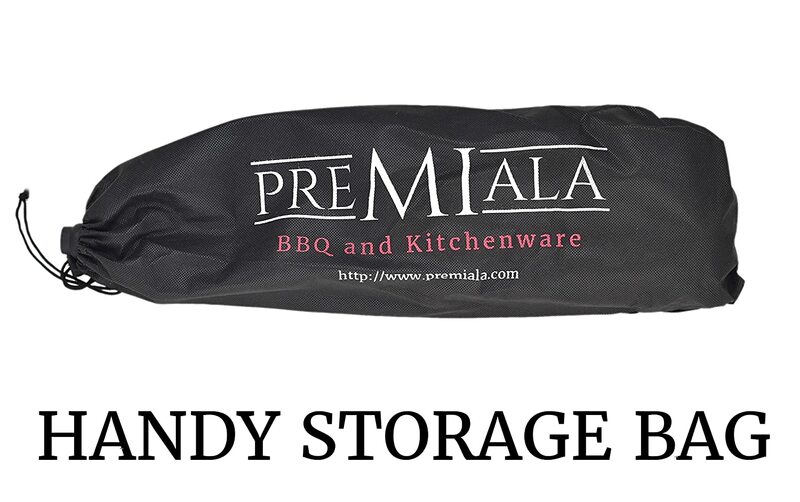 Premiala also gives you a fantastic e-book on Grill Safety and Care to help you get maximum performance and lifespan out of your grill or smoker, a stainless steel hanging loop for easy stowage and a handy carry and storage bag. And if you had any doubt, the brush is backed by a lifetime guarantee! You have nothing to lose and EVERYTHING to gain! Don’t procrastinate any longer - buy the best today! Trust us - your grill and your taste buds will thank you forever! I was a bit concerned about reports of grill brushes losing pieces of bristle that end get into the food and then in your throat requiring emergency treatment. Another reviewer said he didn't detect any pieces breaking off, so I decided to buy. It is well made, the bristles are very secure. I took the time to read Premiala's instructions and, when used properly, I think the brush will last a long time. 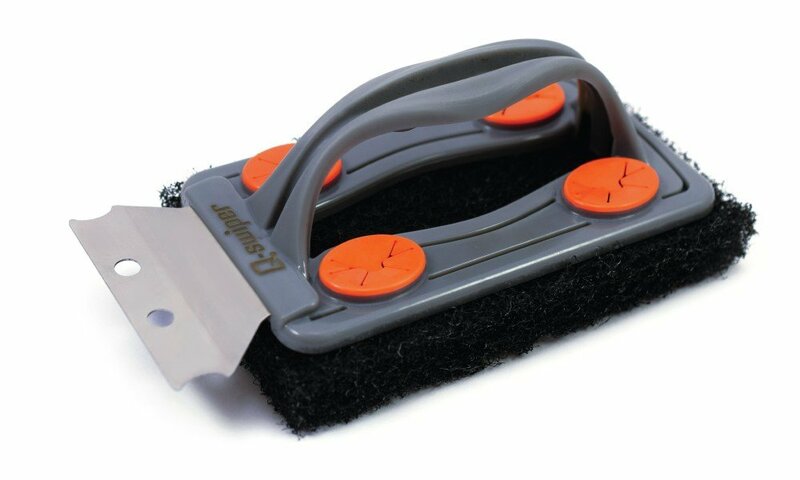 The brush is comfortable for me to use and is designed so that only light pressure is required to get decent cleaning results. I wasn't sure if I wanted another wire grill brush due to the incidents regarding bristles falling out and possibly getting in the food. As it turns out this is an excellent product and I haven't noticed any bristles being lost. It does an excellent job of getting the grill cleaned whether it is hot or cold. I highly recommend this product. customer service. Cleaned the grill, burners and flare shields and the brush worked flawlessly. The bristles donu2019t even look like they have been used. Good investment. I've tried the wooden scrapers, but they never get in between the grill to clean those hard to reach places. This has amazing grip, Very tight bristles, which results in amazing scrubbing power. I strongly recommend it. Support after sale has been great as well. Does the trick but this product is no different than others - after one season I'm seeing a few bristles on the grill. Just be careful as with any steel bristle brush, wipe down your grill before cooking. I am pleased with this product. It doesnu2019t shed brass bristles like cheaper BBQ brushes. The vendor went to great lengths to communicate before and after product arrived to ensure that I was aware of the guidance for use, cleaning and maintaining the brush. It works great. I put it in the dishwasher and it came out squeaky clean and new. Absolutely love this brush, Perfect in every way, great design. Will last forever. Quality couldnu2019t be any better. 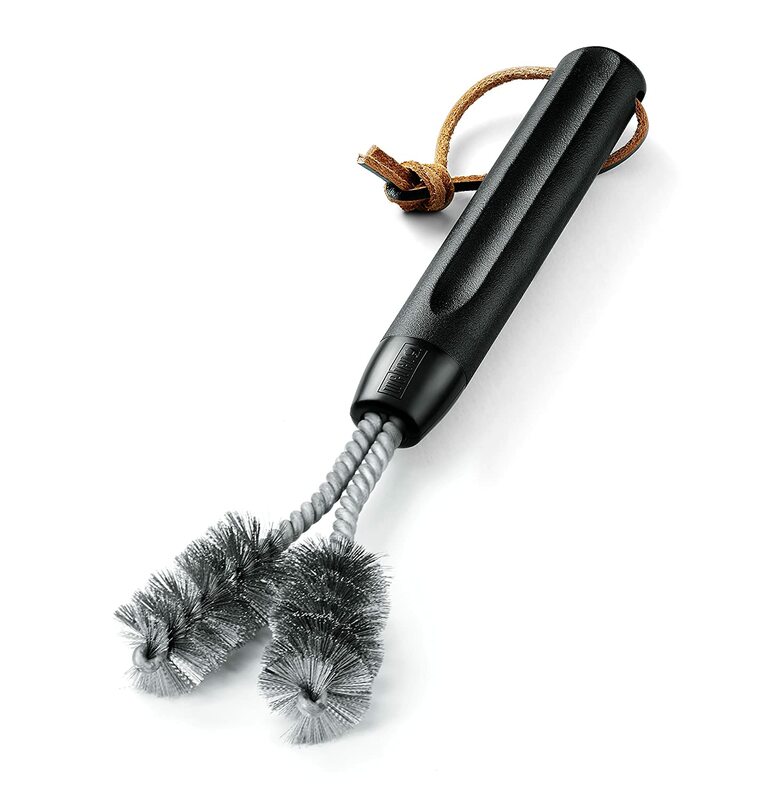 Highly recommend if your looking for a bbq brush or camp stove brush. You will not be disappointed. Very pleased with brush so far. 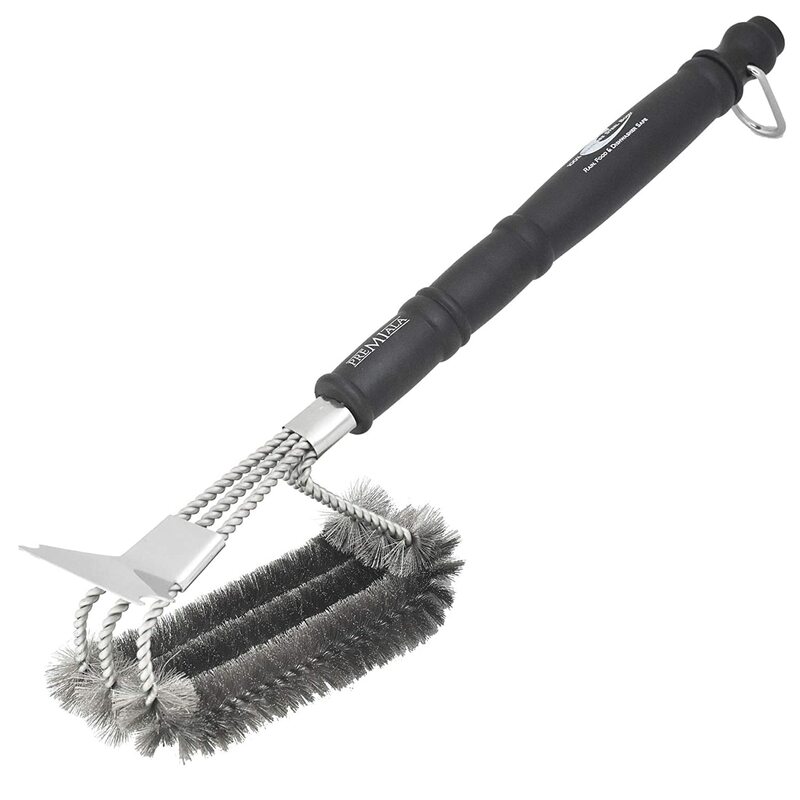 Use it on Weber stainless grills so will be monitoring its longevity compared to my last Weber brush. 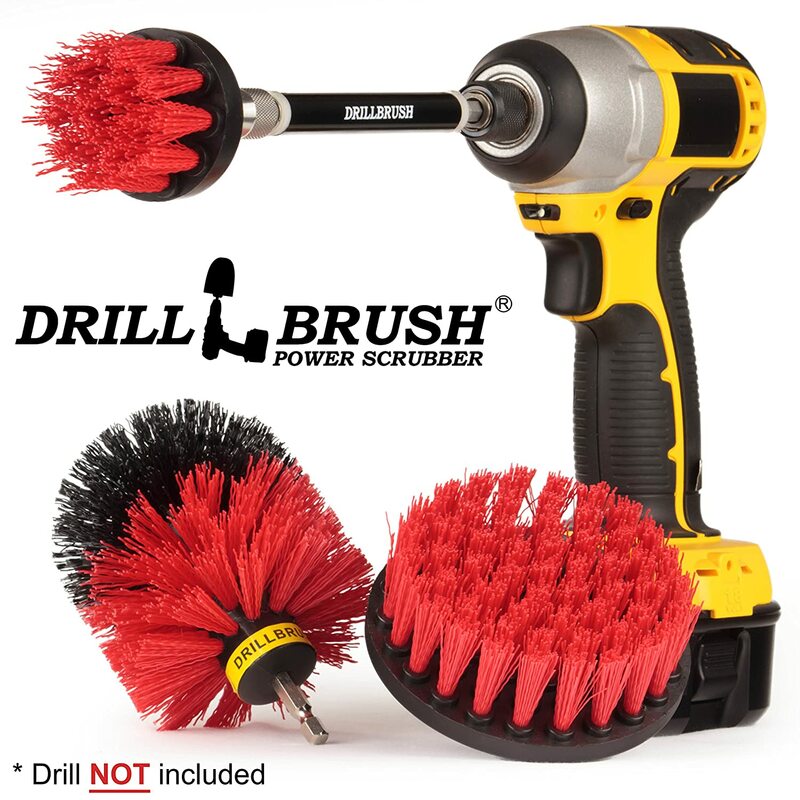 Car Washing and Detailing Power Brush Kit with Long-Reach Removable Extension. 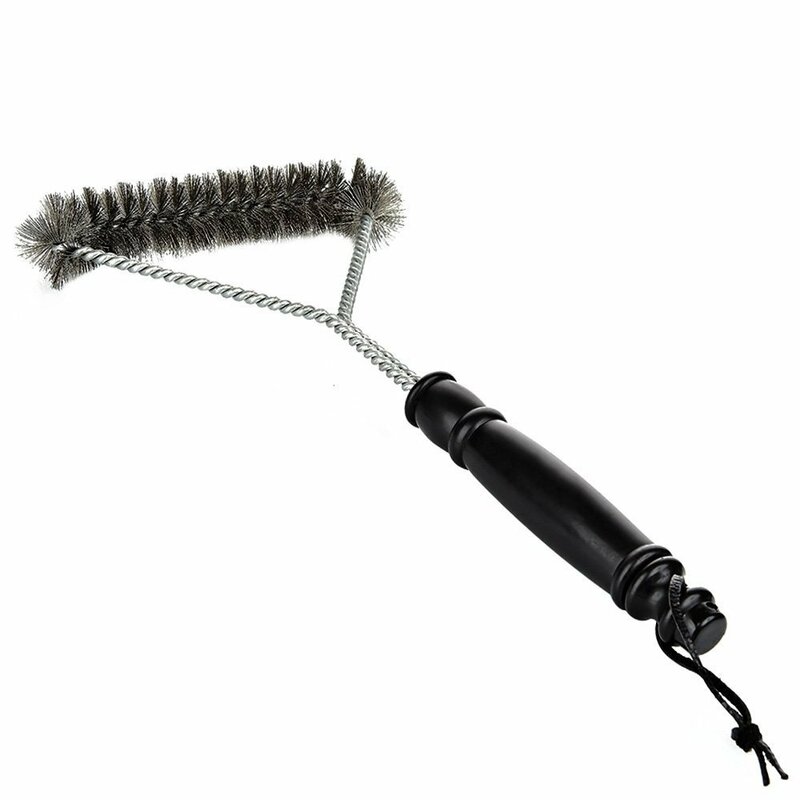 Auto Care Set Includes Three Different Size, Replaceable, Soft White Scrubber Brushes with Quick Change Extender.